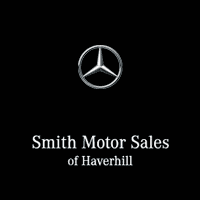 There’s no need to compromise on quality when you drive home in a used car from Smith Motor Sales of Haverhill. We have plenty of used Mercedes-Benz vehicles in stock, non-Mercedes-Benz used vehicles, and a rotating selection of certified pre-owned vehicles. After viewing our used inventory online, make your way to our dealership in Haverhill for a closer look! Recent Arrival! MERCEDES BENZ CERTIFIED / CPO, ONE OWNER, CLEAN CAR FAX, 4 NEW TIRES, NEW FRONT & REAR BRAKES, 4MATIC®, Blind Spot Assist, Burmester Premium Sound, KEYLESS GO®, LED Headlamps, Panorama Sunroof, Premium 1 Package, SiriusXM Satellite Radio. 2015 Mercedes-Benz C-Class C 300 4MATIC® Palladium Silver 2.0L I4 Turbocharged 7G-TRONIC PLUS 7-Speed Automatic 4MATIC® 31/24 Highway/City MPG Reviews: * Swift and smooth acceleration; whisper-quiet interior; easy-to-use regenerative braking; attentiveness monitoring system that warns drivers when they exhibit signs of drowsiness behind the wheel; a nice palette of options. Source: Edmunds Smith Motor Sales offers Special Finance Rates for All Certified Pre-Owned Mercedes-Benz!! Talk to a Salesperson Today!!! MERCEDES BENZ CERTIFIED / CPO, ONE OWNER, CLEAN CAR FAX, 4MATIC®, Blind Spot Assist, Burmester Premium Sound, KEYLESS GO®, LED Headlamps, Panorama Sunroof, PARKTRONIC w/Active Parking Assist, Premium 1 Package, SiriusXM Satellite Radio. 2015 Mercedes-Benz C-Class C 300 4MATIC® Iridium Silver 2.0L I4 Turbocharged 7G-TRONIC PLUS 7-Speed Automatic 4MATIC® Odometer is 5058 miles below market average! 31/24 Highway/City MPG Mercedes-Benz Certified Pre-Owned Details: * Transferable Warranty * 164 Point Inspection * Includes Trip Interruption Reimbursement and 7 days/500 miles Exchange Privilege * Roadside Assistance * Limited Warranty: 12 Month/Unlimited Mile beginning after new car warranty expires or from certified purchase date * Warranty Deductible: $0 * Vehicle History Reviews: * Swift and smooth acceleration; whisper-quiet interior; easy-to-use regenerative braking; attentiveness monitoring system that warns drivers when they exhibit signs of drowsiness behind the wheel; a nice palette of options. Source: Edmunds Smith Motor Sales offers Special Finance Rates for All Certified Pre-Owned Mercedes-Benz!! Talk to a Salesperson Today!!! MERCEDES BENZ CERTIFIED / CPO, CLEAN CAR FAX, LOCAL TRADE, FULLY SERVICED & WHITE GLOVE DETAILED, 4MATIC®, Adaptive Highbeam Assist, Full-LED Headlamps w/Active Curve Illumination, Lighting Package. Mercedes-Benz Certified Pre-Owned Details: * Vehicle History * Warranty Deductible: $0 * 165 Point Inspection * Transferable Warranty * Limited Warranty: 12 Month/Unlimited Mile beginning after new car warranty expires or from certified purchase date * Roadside Assistance * Includes Trip Interruption Reimbursement and 7 days/500 miles Exchange Privilege Black 2015 Mercedes-Benz E-Class E 350 4MATIC® 3.5L 6-Cylinder DOHC 7-Speed Automatic 4MATIC® Odometer is 30046 miles below market average! 20/28 City/Highway MPG Reviews: * Swift and smooth acceleration; whisper-quiet interior; easy-to-use regenerative braking; attentiveness monitoring system that warns drivers when they exhibit signs of drowsiness behind the wheel; a nice palette of options. Source: Edmunds Smith Motor Sales offers Special Finance Rates for All Certified Pre-Owned Mercedes-Benz!! Talk to a Salesperson Today!!! MERCEDES BENZ CERTIFIED / CPO, ONE OWNER, CLEAN CAR FAX, FULLY SERVICED & WHITE GLOVE DETAILED, 4MATIC®, Blind Spot Assist, Lane Keeping Assist, Lane Keeping Assist Package Code, Lane Tracking Package. Black 2016 Mercedes-Benz E-Class E 350 4MATIC® 3.5L 6-Cylinder DOHC 7-Speed Automatic 4MATIC® 28/20 Highway/City MPG Reviews: * Broad range of engine choices; quiet, upscale and well-built interior with a roomy backseat; long list of standard safety and technology features. Source: Edmunds Smith Motor Sales offers Special Finance Rates for All Certified Pre-Owned Mercedes-Benz!! Talk to a Salesperson Today!!! MERCEDES BENZ CERTIFIED / CPO, ONE OWNER, CLEAN CAR FAX, 4MATIC®. 2016 Mercedes-Benz E-Class E 350 4MATIC® Black 3.5L 6-Cylinder DOHC 7-Speed Automatic 4MATIC® Odometer is 7376 miles below market average! 28/20 Highway/City MPG Mercedes-Benz Certified Pre-Owned Details: * Warranty Deductible: $0 * Includes Trip Interruption Reimbursement and 7 days/500 miles Exchange Privilege * 164 Point Inspection * Roadside Assistance * Transferable Warranty * Limited Warranty: 12 Month/Unlimited Mile beginning after new car warranty expires or from certified purchase date * Vehicle History Reviews: * Broad range of engine choices; quiet, upscale and well-built interior with a roomy backseat; long list of standard safety and technology features. Source: Edmunds Smith Motor Sales offers Special Finance Rates for All Certified Pre-Owned Mercedes-Benz!! Talk to a Salesperson Today!!! Due to our vast stock of popular pre-owned options, we’re confident that you’ll find a model you love within your budget, whether it’s a used Mercedes-Benz or a used vehicle of a different make. Have questions? Feel free to contact us about our used inventory before making your way from Salem to take a test drive.